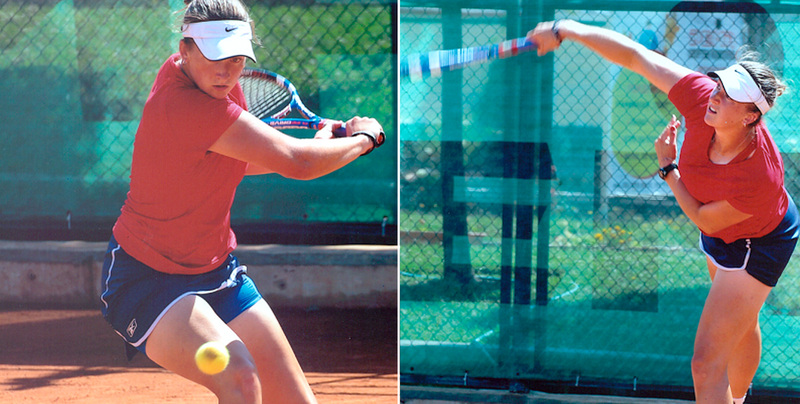 The USA Deaf Tennis team has many top-notch male and female athletes. Two dynamic athletes that stand out are sibling duo Emily and Daniel Hangstefer. In their recent competition in the 2013 Sofia Deaflympic Games in Bulgaria, they won the silver medal in Mixed Doubles. Individually, they are both stellar athletes. Daniel played Division 1 tennis at Lipscomb University, playing No. 1 Singles and No. 1 Doubles. Emily played Division 1 tennis at University of Tennessee Chattanooga. She is currently ranked the #1 Women’s Doubles player in the world, based on her gold medal performance in the 2013 Sofia Deaflympic Games. This was the first time the USA won gold for the American tennis team since 1997. She also was awarded “2013 Sportswoman of the Year” by the USA Deaf Sports Federation. Emily plans to compete at the 2017 Deaflympics in Turkey, where she prays God will continue to use her talent and ability to play tennis to glorify Him.